Summer Goodness is here to stay! Cuddle friendly and super inviting, decorative cushions can take your interiors up a notch for the social gathering at your home or add undeniable comfort to your everyday lounging. Our new cushions collection, apart from this, can also act as great accent pieces in your home. 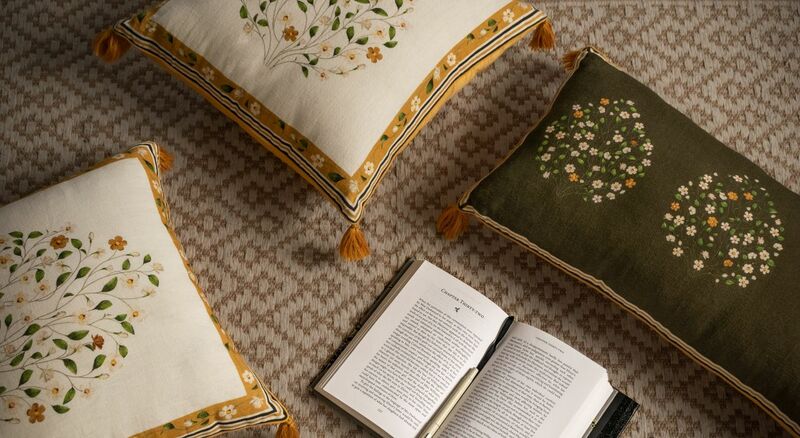 The first rays of the sun, mild and blissful, falling on the leaves & flowers, spotlighting their innate beauty and delicacy is brought to life by this cushion cover design. An escape into the lap of nature with a panorama of little blooms weaving a scenery like never before is the tale of this printed cushion. Perfectly balancing out the collection through its structured design, rhythmic pattern and coordinated colour palette, our Chevron Spectrum weaves together a unique, mix and match contemporary look. With their innate beauty and unique style, make room for these little delights in your shopping cart.